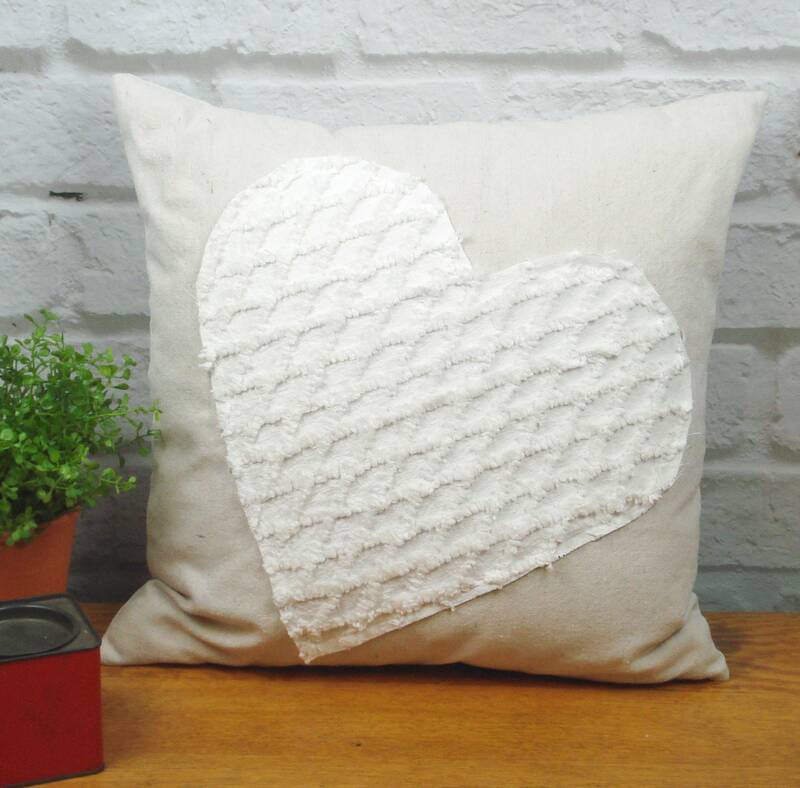 Chenille Heart graphic pillow cover with zipper closure . Order with or without 18x18 insert. Hand made cotton canvas pillow cover fits 18x18 pillow insert loosely as shown or 20x20 snugly. Heart applique is cut from a vintage white color chenille bedspread and stitched to the natural color canvas with white thread. Cover has been pre-washed and heat shrunk. Zipper closure on the bottom. Inside the double stitched seams have been finished with a zig-zag stitch to prevent raveling. Applique edges are unfinished for a tattered look. **Available with or without 18" insert.